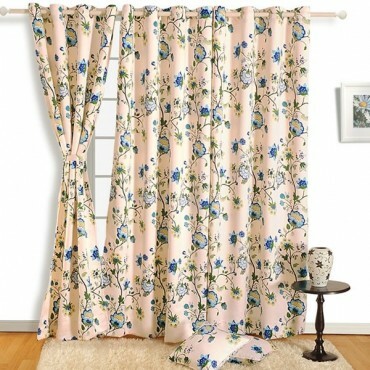 Capturing the beauty of the nature while decorating the home with attractive tapestries is best reflected through digital prints. 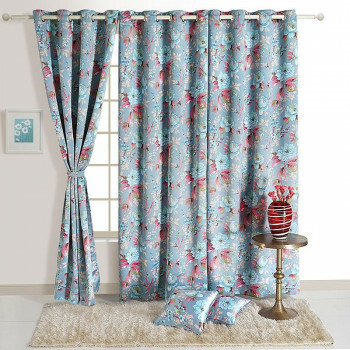 The intricate leaf motifs in combination with bright peach and blue florals would flourish your interior with liveliness and vivacious flair. 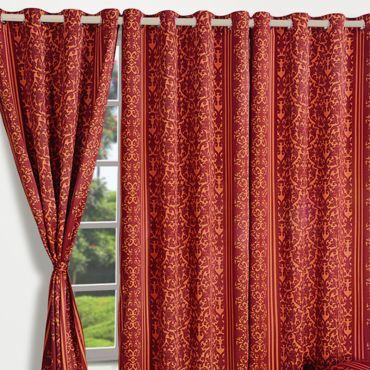 An inviting aura is created with modern printed curtains which would present an opulent and grand ambiance to the space. 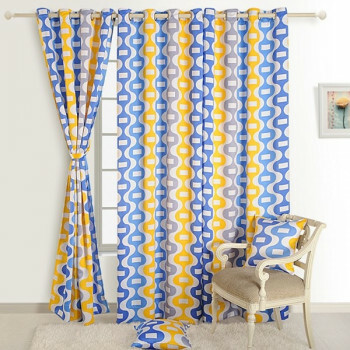 A uniform, rhythmic and symmetric flow is achieved when you insert this highly attractive pair of modern printed curtain in perimeter of your home. 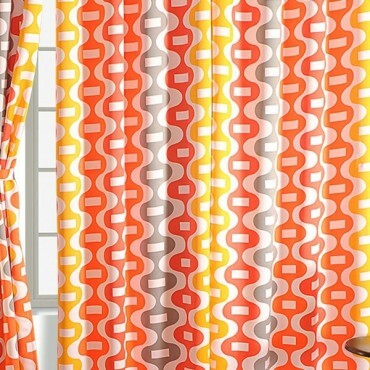 The rectangle shaped white boxes enveloped by colorful orange and yellow shade wave patterns create a wonderful, contrasting look and a visually attractive appearance to the interiors of the room. 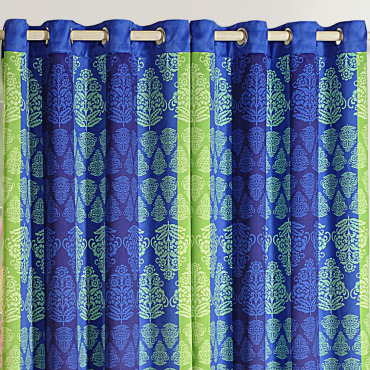 Indulge in the beauty of blue green sigma curtains from Swayamindia.com. 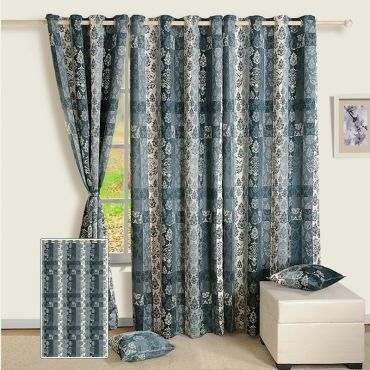 Arresting designs and patterns which are inspired from the rich traditions of India will enthrall you. 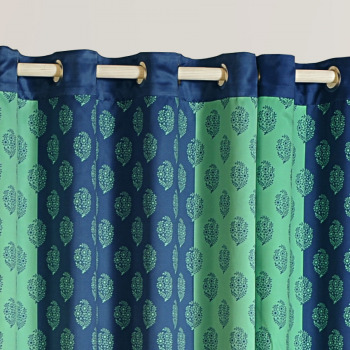 Traditional Indian motif gives a whole new dimension to the whole drape. 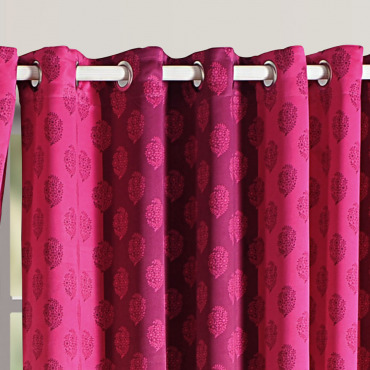 Bring on the worldliness with the Royal Pink Sigma Curtains from swayamindia.com. 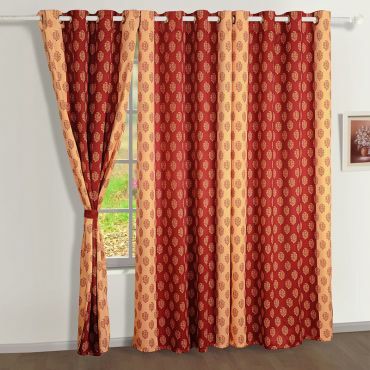 Keep your home well furnished and updated with the drapes. Charming in their appearance they keep you engaged and enticed. Lifting up your mood it will enhance your interest in life. 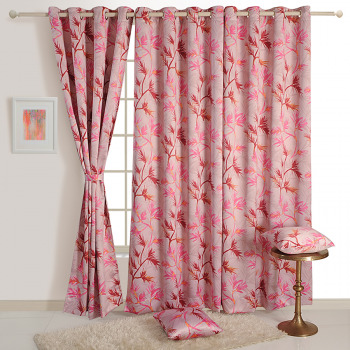 Embellish home in classy modern printed curtains to uplift the interiors of your spacious living room and make them look even more opulent. 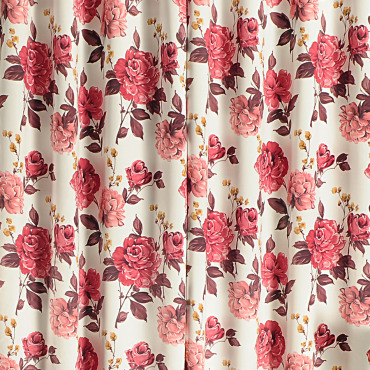 The gorgeous red roses on light tone cream backdrop would assert a classy and vintage flair to the linen. 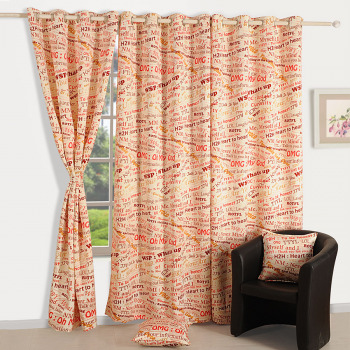 The polyester fabric curtains would brighten up the decor of the rooms and blend wonderfully with all theme decors. 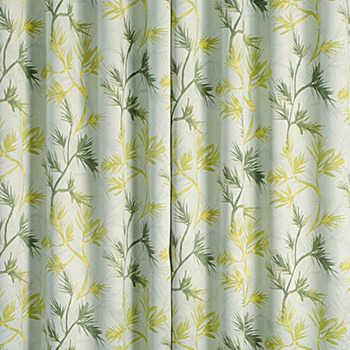 Sigma prints are inspired from elements that are present in our natural surroundings. 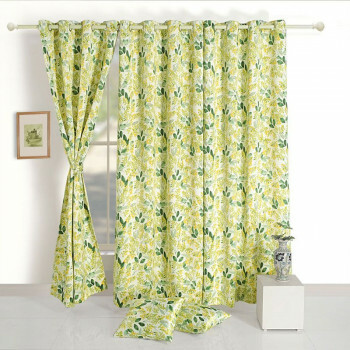 The liveliness and beauty of the nature are best reflected and transformed through the interior decorative linens such as pair of drapes. 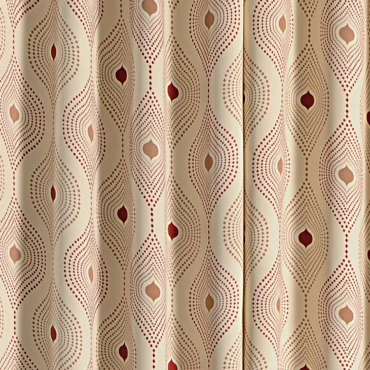 The graceful fall and smart pleats of the polyester curtains online from Swayamindia would present a stylish twist to your home. Fill the fragrance of contemporary art into your living space. 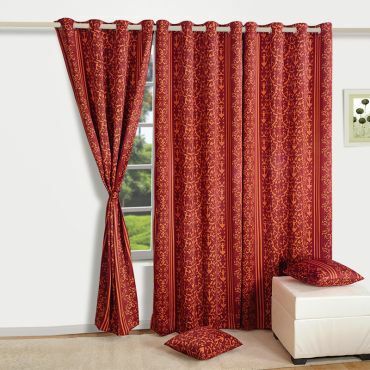 Modern printed curtains in a lively shade of red will get match up with any décor. 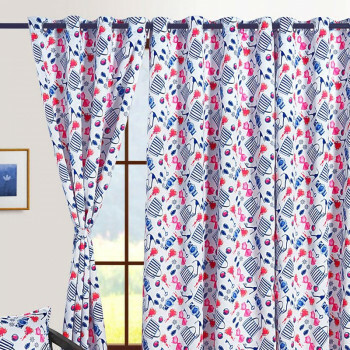 If you are bored with outmoded prints and shades, then you may prefer to buy contemporary art sigma curtains from the online portal of Swayam and give your window a spanking new look. 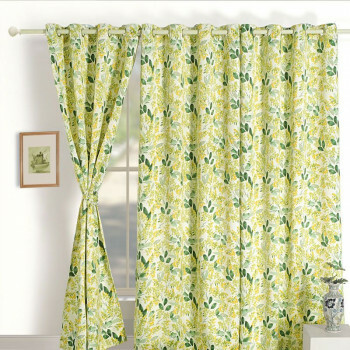 Greet your eyes by bringing pastel ferns curtains to your home. 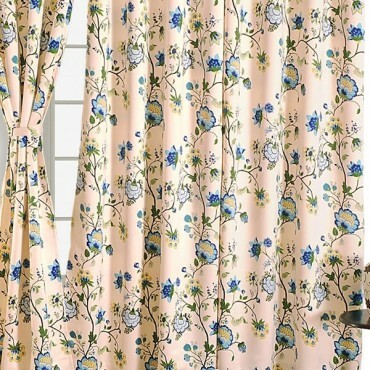 Modern printed curtains give a vintage look and the pastel color creates a soothing sense. 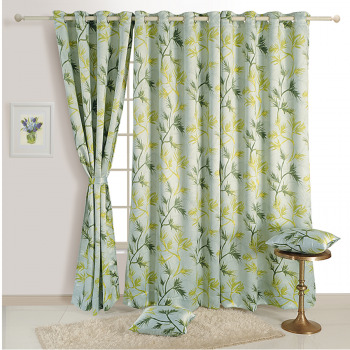 The sequence of ferns is giving a flawless look and the fusion design is eye captivating. 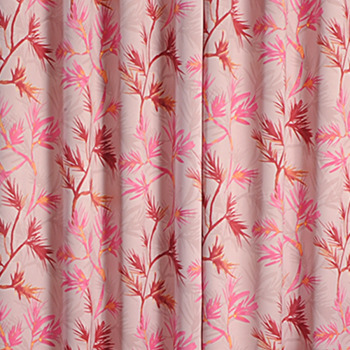 Buy pastel ferns curtains from the online portal of swayam and make your home décor most trendy. 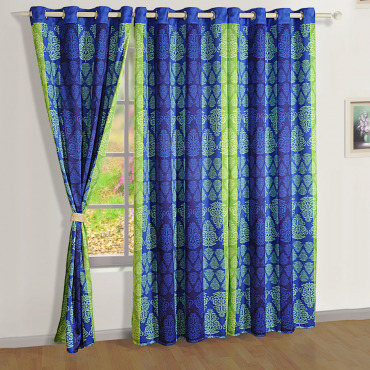 Bright colors always bring a fresh and soothing ambience, same way curtain in these colors have the ability to alter the dull look of space. 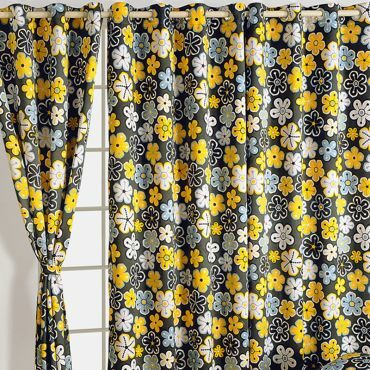 Your doors and window will have a completely new view in the presence of these drapes. 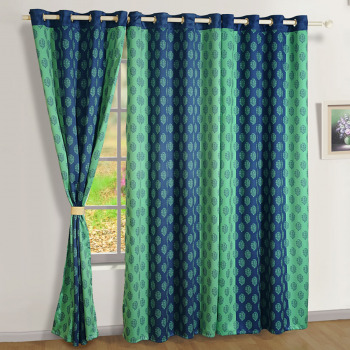 Buy blue green sigma curtains from our online shopping portal swayamindia.com and stay in comfort. 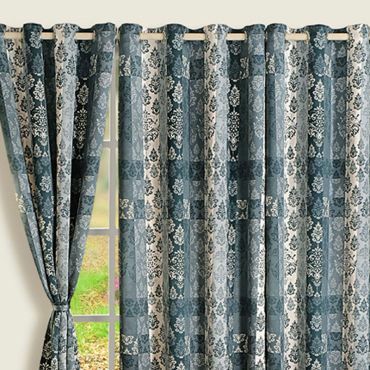 When you want to improve the elegance of your home the most effective and easiest thing you can do is change your curtains. 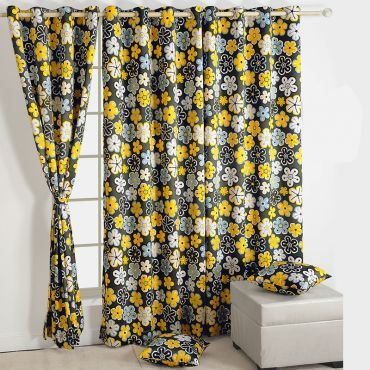 They can bring an attractive change to your entire house from the interiors to the exteriors. 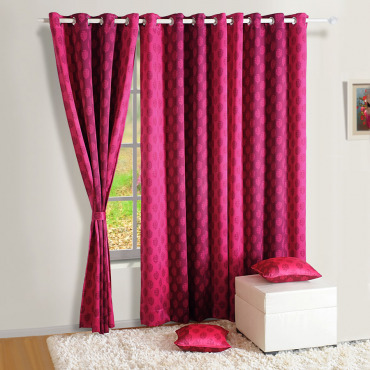 Buy pink red curtains from our online shopping portal swayamindia.com and modernize your space. Whenever we notice and observe the interior decoration, we drive a connection with nature as most of the ideas for patterns are generated from our surroundings. 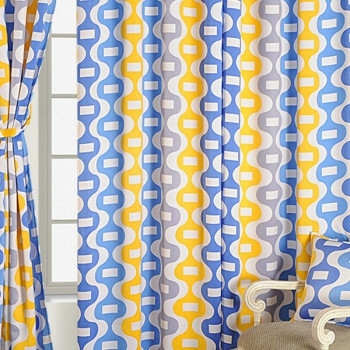 The doodle patterns and use of varied shades of blue would make you feel close to ocean. The drop on the exteriors of doodle looks like drops of the rain on the leaf. 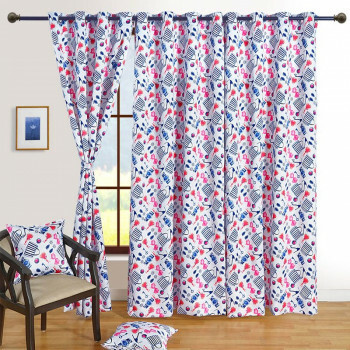 Make your day pleasant with lively and romantic colorful décor.Modern printed curtains are designed through doodle pattern which creates an interesting and artistic aura in the living space. 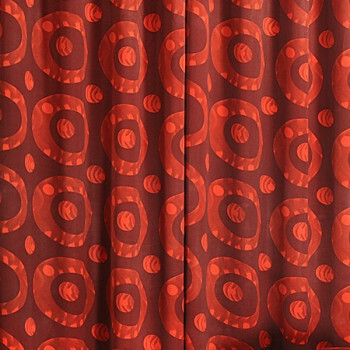 The red color fills positive vibes in the surroundings. 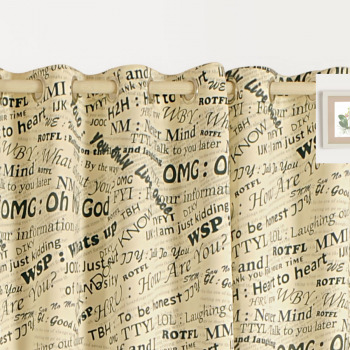 The sequence of doodles on vertical and horizontal sides gives an outstanding look. 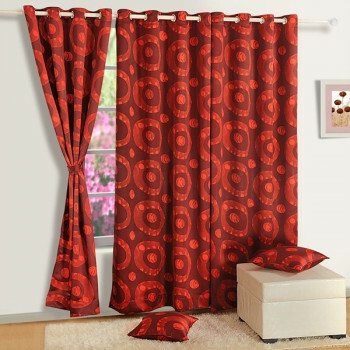 Buy Red galaxy sigma curtains from the online portal of swayam.. 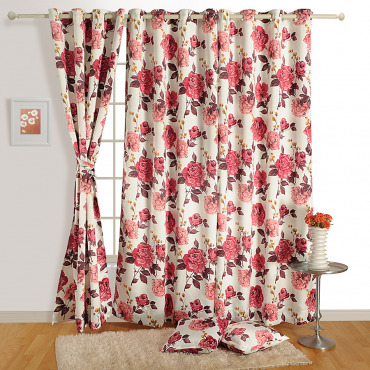 The curtains are not just to cover the windows or doors to block the sun rays entering inside the home or just for privacy, but they can make your living space more appealing and luxurious. They make dull looking corner look more attractive and beautiful. 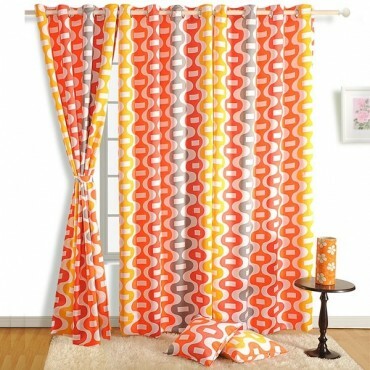 These days, the market is full of various options, so it becomes difficult to find the right option for your home décor. 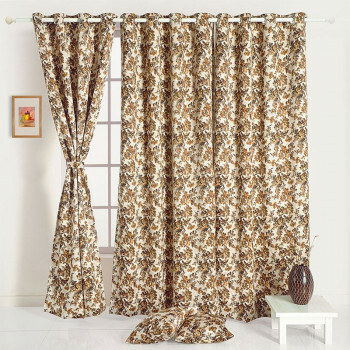 You can get different varieties in the curtains, but if you want to make your home look different from others, then you must bring some stylish curtains to cover your windows and doors. 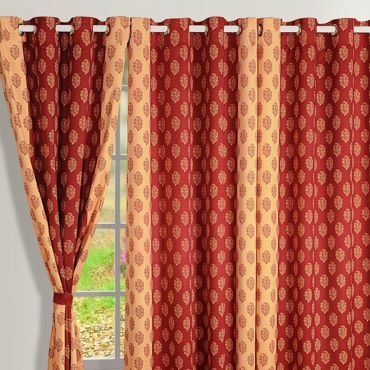 Curtains have the ability to completely separate you from the outside world. It gives you the sensation of being safe and sound inside your home. 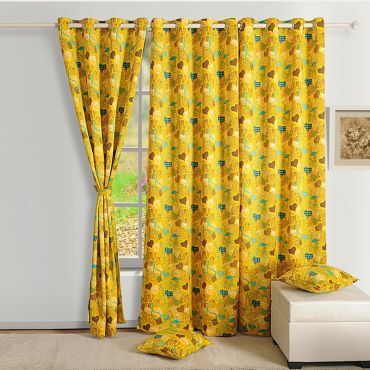 Whether its scorching heat or chilling cold outside, when you drape you windows with these curtains you will be experiencing a completely new world. 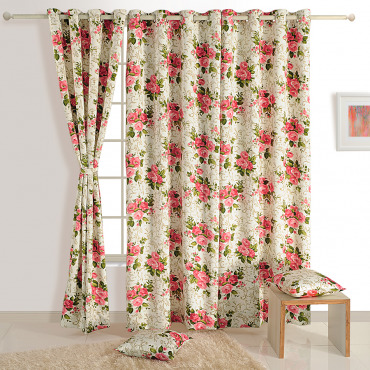 Buy Sigma Curtains online India and make your home an ideal place to live in. 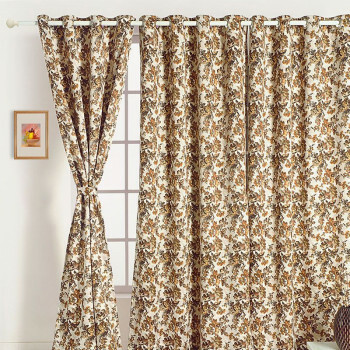 The excellent texture quality is backed by beautiful prints and patterns that will give your home a fabulous look. 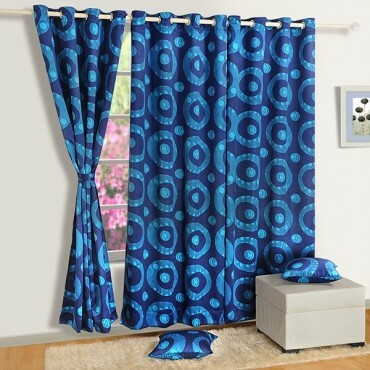 Your windows will have an artistic look with the cover of these beautiful curtains. 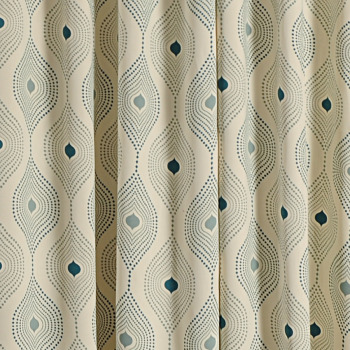 The beautiful texture quality and exciting patterns will give you the feeling of living in a luxurious suite. 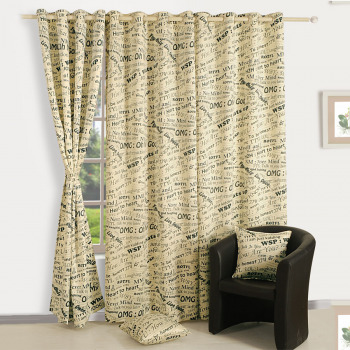 Each and every polyester curtains online is designed with a completely new concept to match with different interiors. 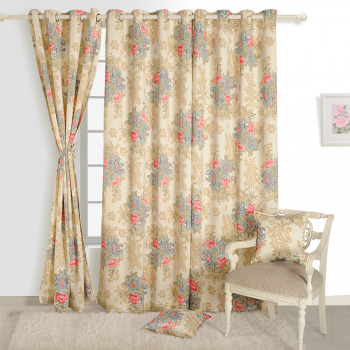 Some are designed with floral prints and some with patterns which leave you a wide choice to choose from. They are printed with precision to bring out the intricate detains. 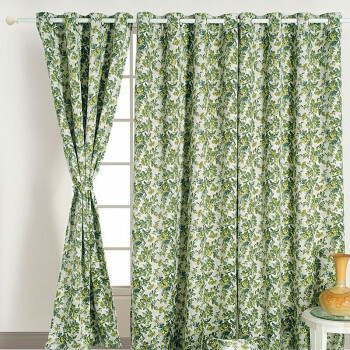 They are designed to meet the current trend for doors and windows. 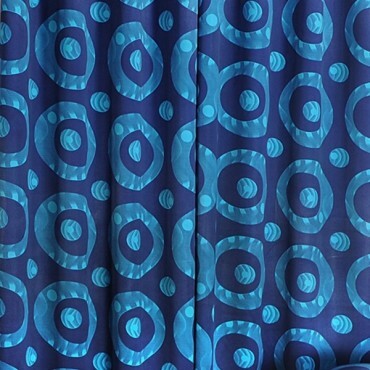 They have a smooth and silky texture quality as they are made using premium grade polyester. 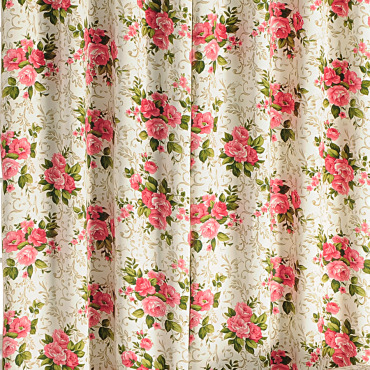 200 gsm of polyester fabric is used to make them heavy and strong. 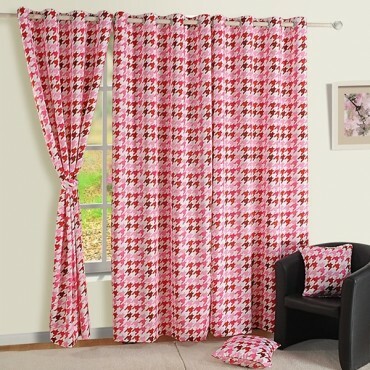 They seamlessly fall down without leaving any wrinkles behind. 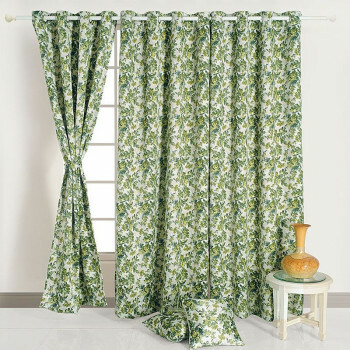 In addition, these polyester curtains online have pre-made eyelets made in them which make things a lot easier. 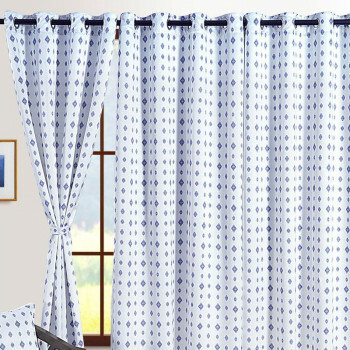 You can easily slide the curtains online without much effort. 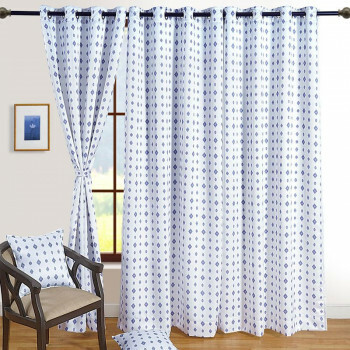 Removing the curtains during maintenance is also a very convenient with the eyelets. Maintenance is no more an issue as they are strong and colorfast in nature. 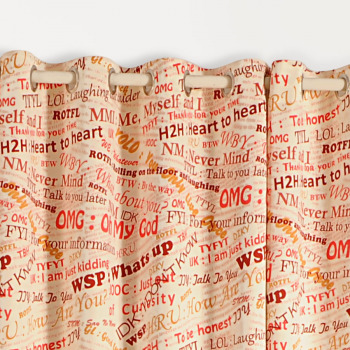 They can endure a wash without any shedding or shrinkage. 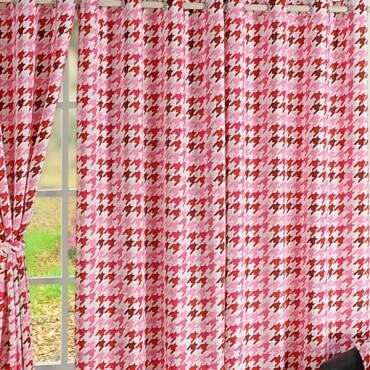 Being resistant to mild dew and chemicals, these covers are widely appreciated all across India. 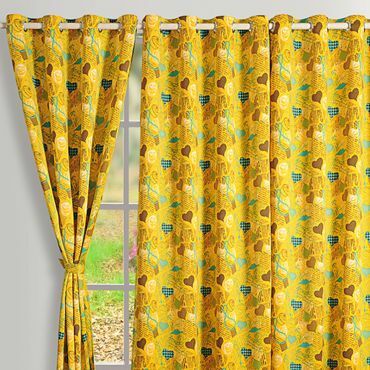 You can avail these in 3 different sizes for you doors and windows. 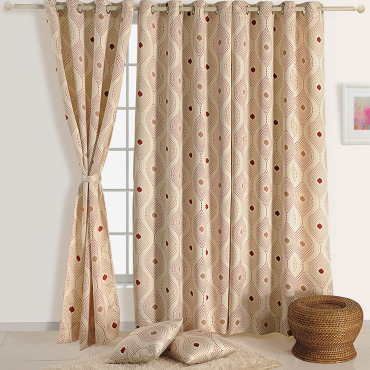 You can also avail Sigma Curtains online India from Swayam in customized sizes, according to your doors and windows.